Reports had emerged that the Team India skipper had suffered a slipped disc and might miss out on his County stint, however, a BCCI official has stated that it is a case of 'neck sprain'. The BCCI will monitor Kohli's workout schedule from hereon. While Kohli had visited a hospital in Mumbai for a check-up, it has been reported that he is suffering from a slip disc injury and will not be playing for Surrey ahead of the UK tour starting with two T20 Internationals against Ireland in June. Reports emerged that the Team India skipper was suffering from a slipped disc injury which might see him pull out from his maiden County cricket stint as well as a part of the England tour. 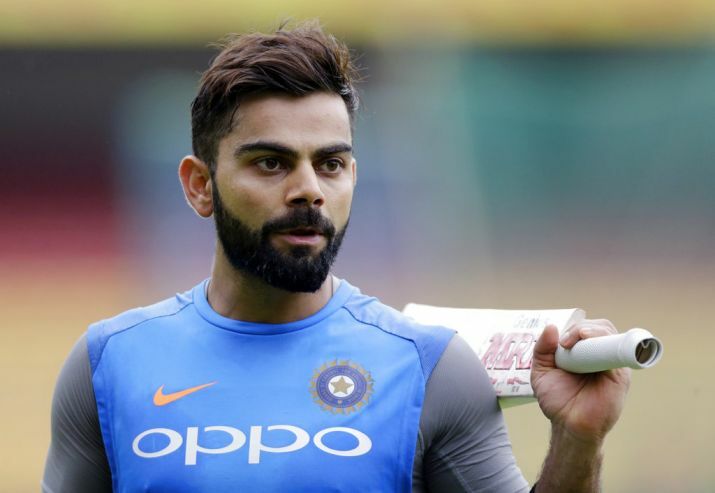 However, a top BCCI official, who is privy to Kohli's county engagements, clarified that it is a case of "neck sprain" and not a "slip disc injury" as reported. After a strenuous year of back to back series and tours, Kohli hasn't had much rest which has taken it's toll on the 29-year old. "Yes, Virat has had fatigue issues and this is a case of workload management rather than injury management. But it isn't a case of slip disc. As of now, we will be monitoring his workload," the senior official told PTI on condition of anonymity. "We are chalking a plan wherein his county stint will be curtailed. He will play two four-day matches as per the original plan and not the five Royal London Cup (50 over) matches," he added. When pressed further on the reported slip disc injury, the official replied: "Yesterday, Virat posted his fitness video as part of the Government's 'Fitness Challenge'. I can tell you that the video was shot yesterday." Kohli had been tagged by Sports Minister Rajyavardhan Singh Rathore in the social media campaign and he had posted a video of him working out in the gym in response. Asked why did he visit a spinal surgeon at Khar medical facility, the official said: "Virat had suffered a neck sprain during an IPL match in Jaipur (RCB's final game). The pain had subsided but he went for a precautionary check-up." However, there is no denying that Kohli has had tremendous workload during the past one year starting June 2017. The BCCI has already put a program in place where the centrally-contracted cricketers' workload and injury management is monitored through the National Cricket Academy.